Cockfield, Suffolk. Bury St Edmunds to Long Melford branch. 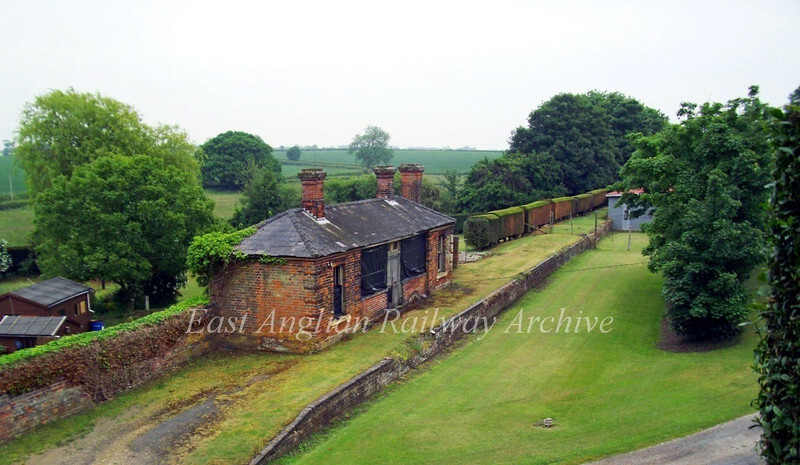 At first glance the hedge at the back of the platform looks like a line of wagons. 40 years on from the previous photo not that much has changed. The trees to the right of the platform are on the line of the former goods loading bay. Photo taken from the adjacent road bridge. Image dated 18th June 2013.